Hi Frits, let me warn you against exagerated dealer lists, so called price guides and the kind of deceptive clips as the one you just posted. It all depends on rarity and demand and especially with doowop, prices have gone down. Price guides are outdated and the best thing to do is to see for how much something actually sold on, say, Ebay and a couple of sites I just emailed you about. 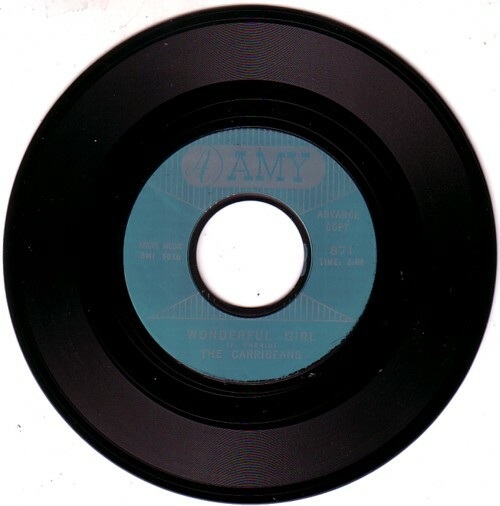 Wonderful Girl stamt uit 1962 en werd in Jerry Osborne’s Price Guide (USA) uit 1999 al geschat op 40-50 dollar.